This article is about business development in a traditional way, not about online marketing. The purpose is to share some thoughts on how an unknown startup can become popular and develop strategic partnerships with paying customers. The focus lies on Hong Kong B2B startups that want to sell their product/service to SMEs and/or MNCs. All information is based on my personal experience of founding an AI startup in 2016 and having spent a significant amount of time trying out different business development approaches. 1 What is Business Development? 2 What Does a Typical Sales Process Look Like? 5 What Makes a Successful Presentation? 7 Which Events Should I Attend? 8 Which Events Should I Avoid? 9 What About the Media? The creation of long-term value for a company from customers, markets, and relationships. This is more than “just selling”. 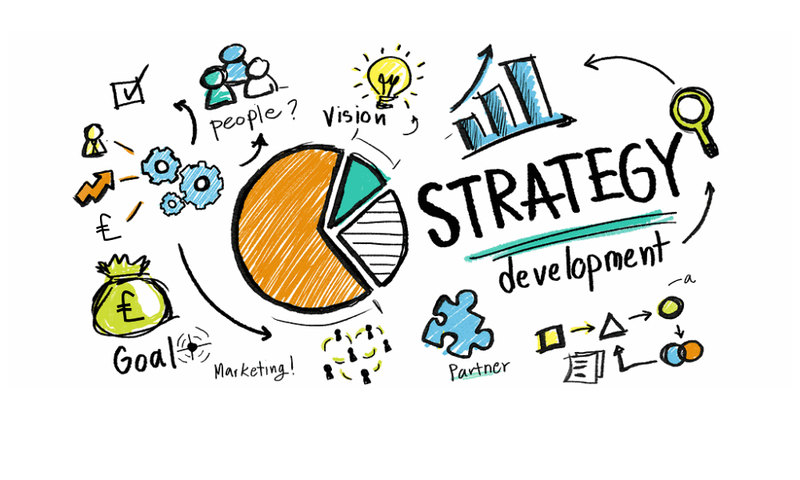 Any business development activity that helps reach at least one of these objectives is valuable. Any other activity is a waste of time that should be avoided. If you are like me and did not have extensive business development experience before creating your startup, chances are you will have to push yourself to go far outside your comfort zone in order to become successful. It is a real challenge to grow a company, especially if you start from zero. Don’t underestimate the amount of work needed for the task. What Does a Typical Sales Process Look Like? Initial contact: Meet a potential customer at an event and express genuine interest by listening to her/his most painful problems. Connection: Follow up after the event and ask for a one-on-one meeting to get to know the person better. Value proposition: Explain how your product/service can solve her/his problems and eventually give a demonstration. 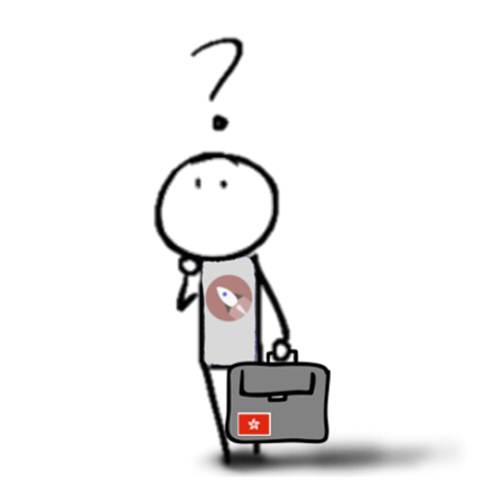 Trial: Offer to start with a Proof-of-Concept for a low fee or to provide a free trial. Everyone is aware that it is risky to engage with startups, so a trial period is a must. Proposal: Draft a contract with comprehensive scope, deliverables and price breakdown, then discuss it with your customer. Negotiation: Find a fair price for the engagement. Close: Sign the contract and get your team and yourself a glass of champagne. The key is to like your customers personally and honestly believe that your product/service can help them. Don’t try to manipulate or mislead people! You should get started with business development as soon as possible. Don’t wait until your product/service is fully developed to start building up relationships. As a startup, you are racing against time and cannot afford to delay this crucial task. From my experience, the most effective way to do business development is to become a speaker at events that fall within your industry. This way you can reach a wide audience that will very likely include decision makers from your target customer companies with whom you can connect at the end of your presentation. If you or your co-founders have never been speakers, you might think only very senior industry experts get invited to speak at prestigious events. This is not the case, especially not in Hong Kong, where innovative ideas and startups have become increasingly popular. What counts is that you have interesting content to share and that you start with small events. At the beginning, you will need to contact the event organizers and offer to join them as a speaker to share insights about a hot topic. If they are interested, they will ask for your presentation title, a one-paragraph abstract and a short biography of yourself. They will also provide guidelines about the presentation format and length and give you a deadline for submitting your slides. Don’t be mistaken: preparing an insightful presentation is a lot of work. Even if you have been familiar with the topic for a while, you will need to do extensive research for putting together content that speaks to a broad audience. There will be industry experts as well as people who have never heard about your topic in the same room. Hence, you should understand your content in breadth and depth to be able to answer any question during the Q&A part. If you do well at small events, you can use these as a reference to contact organizers of bigger events and progressively work your way up. At a certain point you will gain enough popularity and the event organizers will be the ones contacting you. What Makes a Successful Presentation? I don’t consider myself a particularly good speaker. My voice is rather soft, I move my hands frequently and often speak too fast. Yet I always get positive feedback from the audience and organizers and get invited to future events. On the other hand, I have seen many more charismatic and better dressed speakers that were also speaking about a hot topic but sent the audience into boredom. So the question is: what makes a presentation successful? From my observations, the answer is simple. A presentation is successful when the speaker is sharing and not selling. This is basic logic. When someone tries to sell you a product or service directly you will notice it and become skeptical. You know the speaker will not be objective and will spend most of the presentation time highlighting the advantages of whatever she/he is selling. This is disappointing and boring, particularly if you were expecting to learn more about a particular topic, not about the particular product/service the speaker tries to sell. There is a theory that explains this phenomenon called persuasion knowledge model. Sharing creates long-term value for your company which is the objective of business development. The way you talk to a prospect depends on the category of adopter she/he belongs to. Prof. Everett Rogers published an interesting theory in 1962 called “diffusion of innovations” which explains how, why, and at what rate new ideas and technology spread. The innovation must be widely adopted in order to self-sustain. Within the rate of adoption, there is a point at which an innovation reaches the critical mass. Diffusion manifests itself in different ways and is highly subject to the type of adopters and innovation-decision process. The criterion for the adopter categorization is innovativeness, defined as the degree to which an individual adopts a new idea. Innovators: the first customers of a new product/service that accept problems since they know they are the first ones. Early adopters: customers who want to be part of a product/service early on, but they expect it to work. Early majority: customers who will only buy a product after they hear peer reviews. They want references to reassure them in their purchasing decisions. Late majority: customers who will start using a product when it is no longer state-of-the-art. They use a product once most others have already adopted it. Laggards: the very last customers to purchase a product. This is because they tend to be skeptical and will only get a product once they cannot work without. The more business development experience you get, the better you will be able to categorize the prospect and accommodate yourself to the person. As an early-stage startup, you will mainly talk with innovators and early adopters. Once your company matures, you will move on to customers that are part of the early and late majority. Laggards are relevant only for established companies. 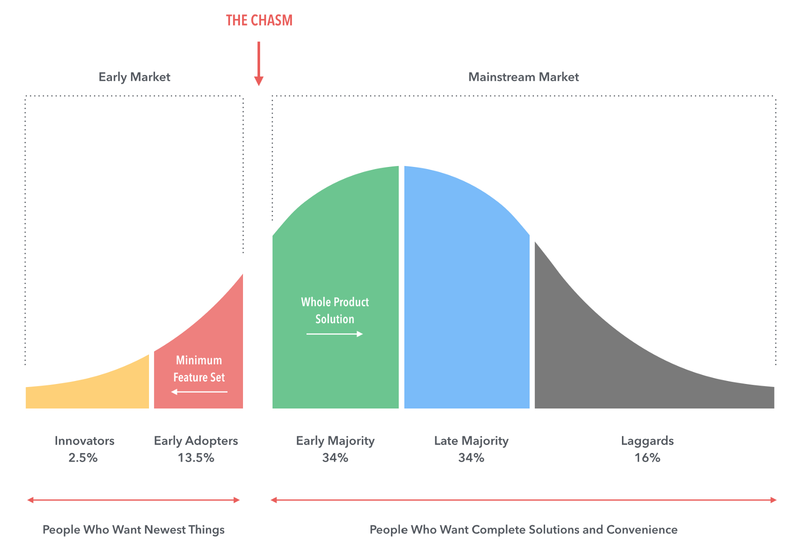 It is to note that Geoffrey Moore borrowed the same concept in his famous book “Crossing the Chasm”. I would recommend that every entrepreneur read the book. Which Events Should I Attend? Hong Kong is a vibrant city that hosts thousands of business events every week. With so many events, it is easy to get lost. One simple trick to decide whether you should join an event is to ask yourself if it is going to help reach your business development objectives. If the answer is yes, then you should go and be well prepared before attending. Anyone joining an event without a clear goal in mind is wasting her/his time. Speaker events: Ideally you are invited as a speaker and enjoy the benefits mentioned in the previous paragraphs. But it is a good habit to regularly join events as a guest to meet other speakers and participants while learning about a new topic. Competitions: These are very helpful for finding talented local resources that might join your team, getting insights about your competition, and having the chance to prove yourself in front of potential customers. If you are a tech startup, then hackathons are the competitions you are looking for in Hong Kong. Conferences and exhibitions: Although the two major convention and exhibition facilities are AsiaWorld–Expo and Hong Kong Convention and Exhibition Center, there are several smaller conferences that are worthwhile to join. Just keep your eyes open for events relevant to your industry. Networking events: Whether organized by a chamber of commerce, a business council or a university, these events get you exposed to a diverse group of people. No matter what events you decide to join, make sure to follow up per email within 3 days with every person you had a connection with (i.e. through a real conversation). Every email should be a personal message referencing the content of the discussion and a suggestion to meet up in the following weeks. Attending events and following up is a lot of work that requires you to do the first step most of the time. Nevertheless, it is worth the effort and the rewards will be tremendous over time. You might, for example, be invited to introduce your product/service directly to the leadership of an MNC without knowing anyone else at that company. What better shortcut can you ask for? Which Events Should I Avoid? Never join a speaker event that requires you to pay for being a speaker. If this comes out, it will hurt the reputation of your company. Joining a conference is another story. Here it is reasonable to rent a booth for representing your startup. As your budget might be limited, there are many ways to get your booth sponsored by the event organizers or a public body. Exploring subsidy opportunities can save you a lot of money. Any positive publication from a legitimate newspaper, magazine or blog is beneficial to your business development. Media attention will come naturally as a result of intensive business development. Journalists will find you when the time is right. Be aware of scammers. There are many online and paper magazines out there with dubious reputations. Their business model is to publish an article about a company – usually a ranking of the top x companies within an industry or an article about the founders – and make money by licensing the rights to use. I receive an email from one of these magazines almost every week. Business development is not easy. You will need to do a lot of work to get started and be patient for several months before seeing the first results. But it is something you will have to do if you want to grow your business. As such, better start early. Remember that one of the most effective ways to do business development is to become a speaker at a relevant event. Try to prepare high-quality content and share it with the audience. Don’t fall into the common trap of wanting to sell too fast! Also, try to attend as many relevant events as possible that fall within your industry. Get out of your comfort zone and remember that nobody has ever built a successful business without making mistakes.